We wanted to try Ban Ban Kitchen for a while and it took us a couple of trips to find this place open. However, in spite of its odd opening hours (check their website) this is quite an interesting food venture. To start with, the place is a small stand attached to a parking lot along hipster central Hermannstrasse. This quite interesting food joint claims a clear Korean DNA. However, the menu clearly has Japanese and other asian influences. What is clear, though, is that this is a street food joint. And we love it. 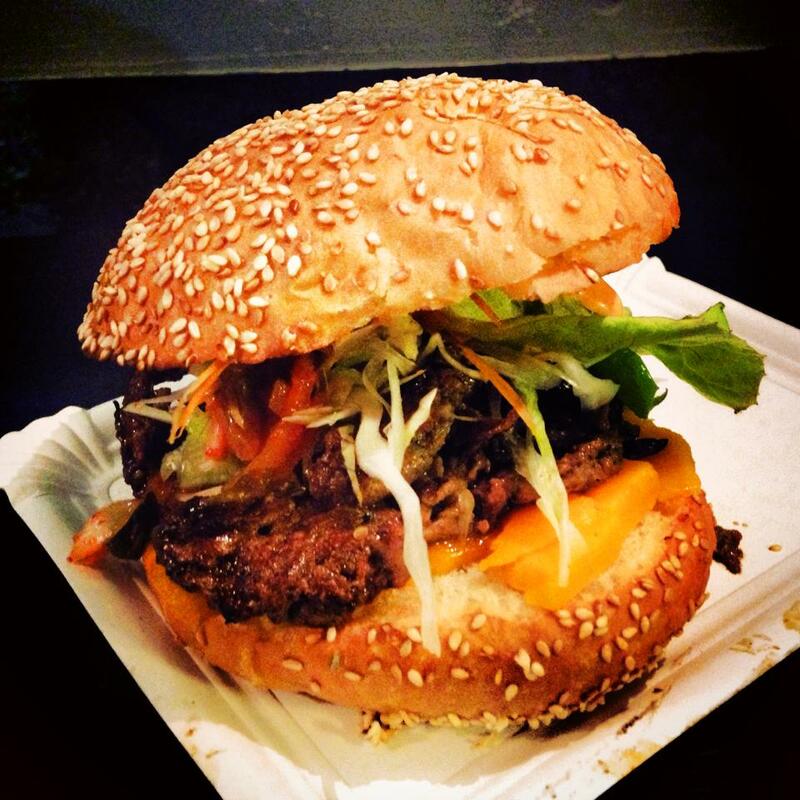 Particularly good are the kimchi fries (top it with beef or chicken) and the bulgogi burger. The nori tacos a quite interesting but it has been a hit and miss for us. Another aspect of this place that is important to take notice: the earlier you get there, the better the food seems to be. We have experienced it earlier in the evening and much later. The food has been consistently better earlier in the evening (we don’t know why). Hopefully that will change in the future. In any case, it is a great place to enjoy simple and hearty street food. Just get your food and sit on one of the benches along the side walk. It is a cool place for people watching and just chilling. 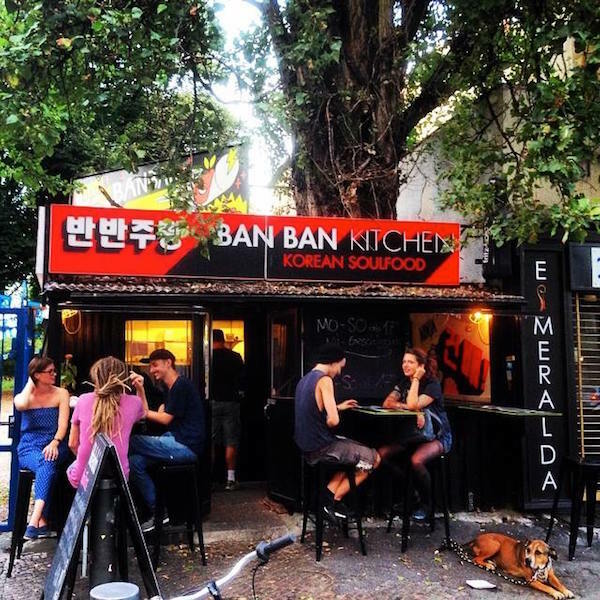 We think Ban Ban kitchen is a great option to start the evening before heading to bars and clubs. We would love for them to stay open until much later (like 5 AM…hehe). This type of food is what we crave after a fun night out. We will report if that changes. 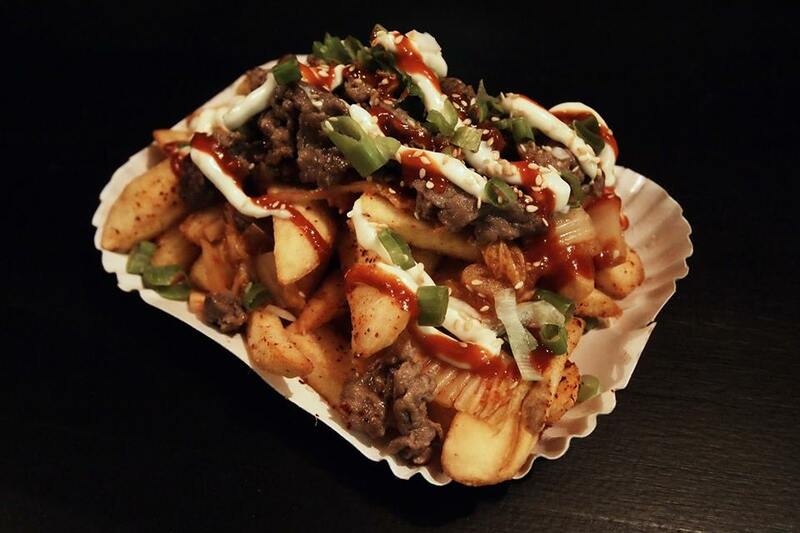 What we like to order at Ban Ban Kitchen: Kimchi Fries (topped with bulgogi beef) or Bulgogi burger.